Here is the image. I am grateful for any help. It's very hard to decipher the letters, I can get about 20% of what's written there: Here are buried......by fascist occupants, 1942. Just figured it out. It is written in Ukrainian language, not Russian. 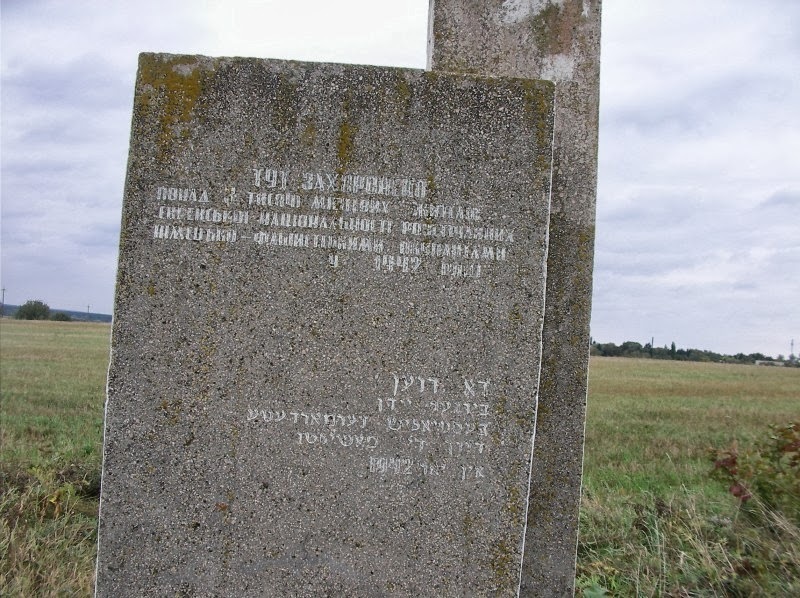 And it says: Here are buried more than 3 thousand locals of Jewish nationality [not sure about this word, but it seems that it says killed] by German fascist occupants. By the way, where is this gravestone located at? Berestechko. Thanks for the help.